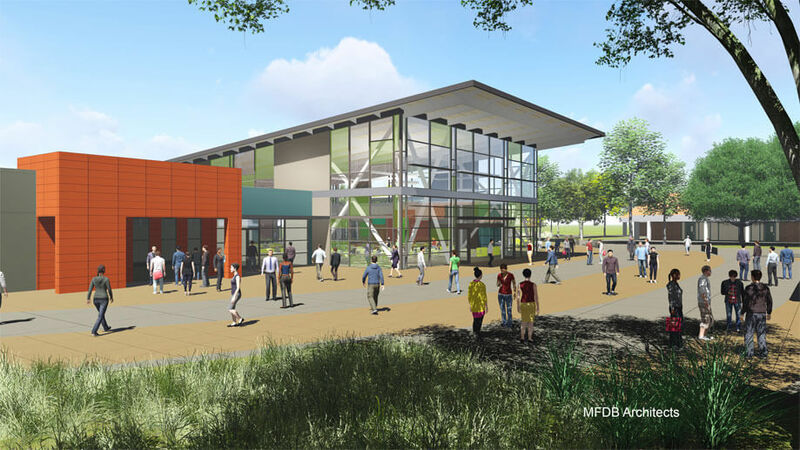 East Side Union High School District’s Yerba Buena High School is a design-build renovation and expansion of the existing administration building, library, and food cafeteria. Flint is currently in the design phase of this project and we expect construction to begin in early Winter 2017. The existing buildings will be selectively demolished and rebuilt with a new student union and learning center. A new food court with fully functioning kitchen will help to ensure the students have fresh, healthy meal options. The project is scheduled to be complete Summer of 2018 and ready for the 2018-2019 school year. This project is LEED Silver with potential to reach LEED Gold.